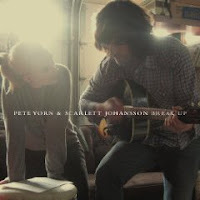 Call them He & Her if you will since She & Him is already taken - Pete Yorn has hooked up with Scarlett Johansson only to Break Up on September 8. The first single Relator is already available via iTunes or streaming at their site here and definitely carries a similar vibe to what M. Ward and Zooey Deschanel did so well last year. 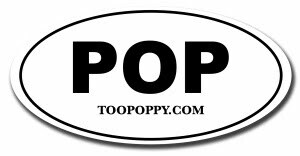 What is it with these singer-songwriters and their lovely actresses with hard names to spell and a hankering for a music career? 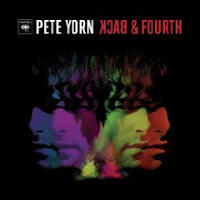 Yorn has his own album coming out June 23 called Back and Forth. And that's all I have to say about that.